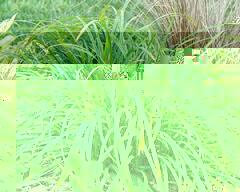 Creek Sedge For Sale Online. Low Wholesale Prices. Perfect for wooded and shady areas in USDA hardiness zones 3 through 9, creek sedge (Carex amphibole) is a North American native. Boasting shiny foliage and green flowers in March through June, this plant works well for erosion control and thrives in almost any amount of light, from direct sunlight to dense shade. Soil requirements are also reasonably lax, allowing this species to flourish in damp to wet soils. Creek sedge forms clumps that reach both widths and heights of about 12 inches, making it perfect for borders and use as a ground cover. Creek sedge forms clumps that reach both widths and heights of about 12 inches, making it ideal for borders and use as a ground cover. Those who share their garden with wildlife will appreciate the plant’s deer resistant quality. Though deer and rabbits tend to shy from creek sedge, turtles and butterflies are both attracted to it. It is also of note that those in hardiness zone 6 may be able to enjoy this perennial as an evergreen. Requiring only a bit of irrigation if planted in direct light, creek sedge is easy to care for and makes an excellent choice for both novice and expert gardeners alike. This plant can usually thrive even when neglected but does best when cut back each March to a height of three inches. Creek Sedge will have dark green leaves that are on the thinner side. It will grow in separate clusters. It likes to grow in soil that is very moist like woodlands and creek banks. Creek Sedge is also known as Carex Amphibola. Hardy in planting zones 3-9. Growth rate at maturity can reach 1 ft. Tall and 1 ft. Wide. Does well in full sun to partial shade and in the very moist soil. Make sure you have a lot of organic soil around your plant. It will need more moisture in the summer months mainly if it is planted in the sun. Taller grasses, when planted in groups, will work well for screening or focal point in landscaped areas. If you plant it in numerous locations, it can bring your garden together. It can also bring privacy to your area if planted together along property lines.